You and your fellow dwarves are digging for gold in a maze of mining tunnels. But, beware! 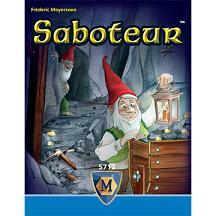 Some of the miners are saboteurs trying to foil your efforts and steal all your hard earned gold.